Today, we discuss the ability to create notifications to our users when something goes wrong in a process/controller using an HtmlHelper called ViewMessageHelper. When I recently wrote about HtmlHelpers, I discussed how some of the helpers were used to display different types of data through the Media objects. As a reminder, HtmlHelpers are basically extension methods that can extend any class. Recently, I had a user ask about how to display messages to users when something goes wrong. If you've read my Make a BaseViewModel for your Layouts, you know where I'm going with this. This time around, I thought we could write something of benefit to most Bootstrap designers/developers: A ViewMessage HtmlHelper. Let's set up the requirements for the ViewMessage HtmlHelper. It will display a Bootstrap alert if there is a message passed through the ViewModel. This message can be a success, error, or informational message. The nice thing about the ViewMessage HtmlHelper is that if we don't pass it into our views, it won't display anything. First, let's define our ViewMessage model and attach it to our BaseViewModel. Pretty standard extension method, right? When creating HtmlHelpers, I always overload it with additional Html attributes in case I want to add a class or id. 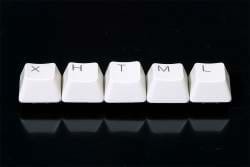 So let's add another extension method to take HTML attributes. Notice that when we don't have a ViewMessage or no message at all, then we return a empty MvcHtmlString. But now what we need is the actual creation of the message. Here is the entire ViewMessageHelper to display an alert on your page. Anytime we want a message, we create it in our ViewModelBuilder, pass it through our ViewModel, and use our HtmlHelper to display it. The ViewMessage HtmlHelper is just one of the various helpers that I'll be discussing on this blog. Keep in touch and I will be writing some more HtmlHelpers for my audience. Stay tuned! If you are looking for an Html Helper, send me an email or post a comment below and we'll write something up to help you out with your HtmlHelper.